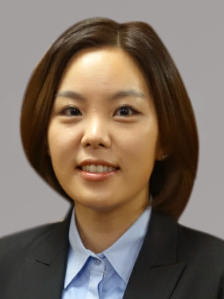 Dana Y. Lee is an Of Counsel at Yoon LLP concentrating her practice on commercial and residential real estate transactions, lender representations, and trust and estate planning. Ms. Lee’s representations include investors and individuals on purchase, sale and financing of commercial and residential real estate, businesses on commercial and office leasing, institutional and private lenders on commercial loan transactions, sponsors and developers on new construction and conversion offering plans, and individuals on trust and estate planning. Prior to joining Yoon LLP, Ms. Lee was an associate at a leading full service law firm in Long Island. In law school, Ms. Lee was an Executive Publications Editor of The Buffalo Intellectual Property Law Journal, a member of The Buffalo Moot Court Board, and a vice president of Asian-Pacific American Law Students Association. She received her Bachelor’s Degree from Cornell University School of Hotel Administration. Ms. Lee is a member of New York City Bar Association and she serves on the Executive Board of Korean American Youth Foundation. Ms. Lee is fluent in Korean.